TechCentury magazine has been serving the needs of engineers and technical professionals since 1939. Published four times a year, this multi-award-winning magazine covers industries ranging from automotive and environmental to construction, design and medical. In a time when magazines come and go, TechCentury has been a stable presence and a trusted resource for professionals of all backgrounds and expertise. It features articles written by professionals for professionals about a wide variety of timely and informative topics. Each issue delivers the latest and most relevant information to help readers make decisions in their professional and personal lives. In addition to in-depth articles, the magazine also includes regular features about critical regional-related issues, the latest research and accomplishments at Michigan universities and companies, profiles of young professionals, and much more. 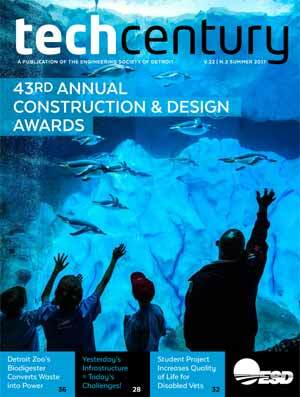 Accompanying the printed edition of TechCentury magazine is TechnologyCentury.com, an ongoing online version of the magazine covering technology-related news in the Great Lakes area of interest to engineers, those in related technical fields, and the general public. 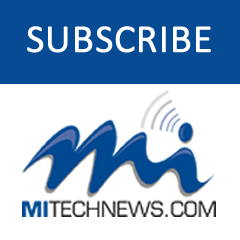 The magazine is written and edited by veteran Michigan technology journalist Matt Roush. It is followed online by more than 5,000 readers. TechCentury is delivered to more than 6,000 ESD members, as well as to Michigan’s largest universities. It can also be found at many major corporations and at public libraries throughout Michigan. With a distribution total of more than 7,500 and a pass-along impact of 15,000, TechCentury is a must-read for those interested in staying informed about current issues and future innovations in engineering, technology and the environment. me with a one year price, issues, and an address where I can send a check to?